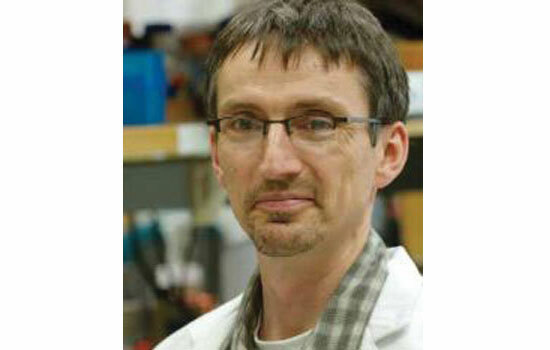 Molecular virologist and HIV/AIDS researcher Stephen Dewhurst will present the John Wiley Jones Distinguished Lecture sponsored annually by Rochester Institute of Technology’s College of Science. Dewhurst, dean’s professor and chair of microbiology and immunology at University of Rochester School of Medicine and Dentistry, will talk about his research on HIV/AIDS and emphasis on vaccine development at 1 pm April 23 in the Chester F. Carlson Center for Imaging Science Auditorium. The talk is free and open to the public. Questions and discussion will follow the talk. The late John Wiley Jones was founder and chairman of the board of Jones Chemical Inc. in Caledonia. He was an avid proponent of science education. The annual lecture series was established in his name in 1974. For more information, call 475-5774.